One of my favourite parts about Christmas is the build up and excitement of getting everyones presents then giving it to them on Christmas day. I love watching peoples reaction and excitement. 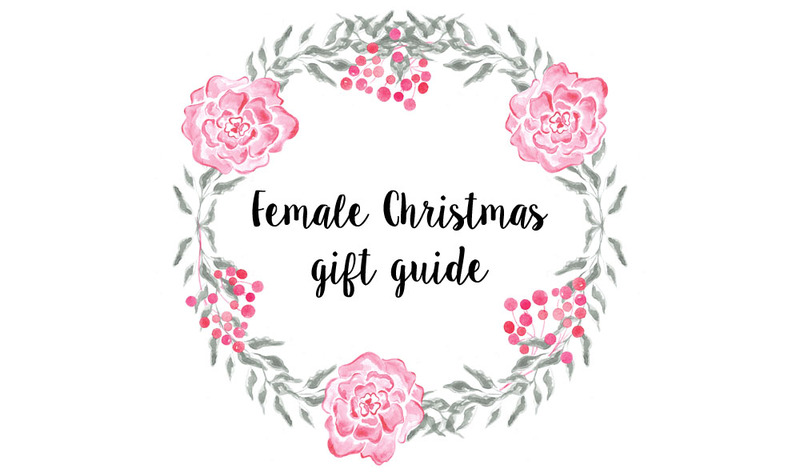 I've picked 10 presents from different price points that would be perfect for any female in your family, or you could just put them all on your list like I have! 1. Too Faced Grande Hotel - contains 3 different palettes which have eyeshadows as well as blushers and bronzers. They also smell like festive treats! Give one lucky person the whole set or give away a palette to 3 different people. 2. Leopard daily journal - I love leopard and I love stationary. 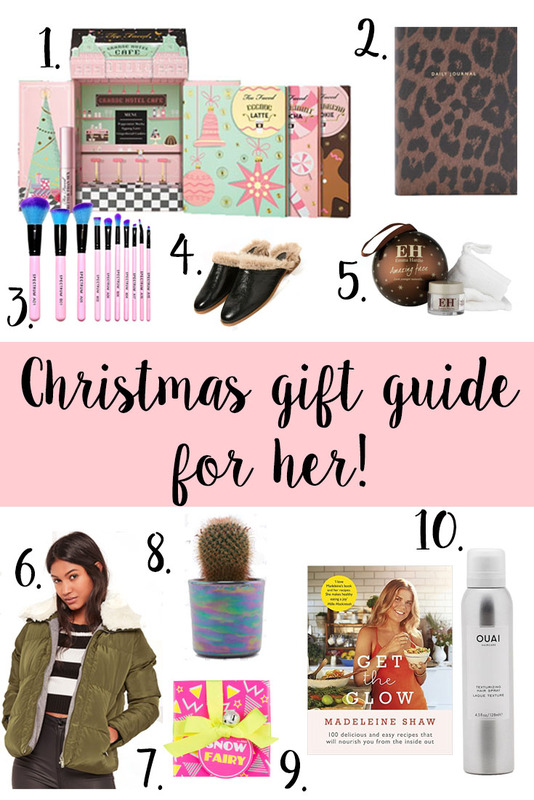 This was featured on The Anna Edits lifestyle gift guide and I've been lusting after it ever since. 3. Spectrum 10 piece essential - Spectrum do the most beautiful brushes, they're great quality and have a decent price point. 4. Lined Leather Mules - these can be a bit love / hate but I love them. These Zara lined leather mules are a good dupe for the Gucci Princetown Mules and a lot cheaper! 5. Emma Hardie Merrily Moringa - I have heard a lot of rave reviews for this product but couldn't face the usual price tag. This cute little bauble is the perfect way to test the waters before spending. 6. Missguided coat - what better time to get a new coat than at winter. The padded coat is having a bit of a moment currently and I love the faux fur lining. 7. Snow Fairy gift set - my favourite scent from Lush. It literally smells like those bubble gum fizzy bottle sweets! 8. Oil slick planter - such a cute pot for a cactus in your house. 9. Get The Glow - I love Madeline Shaw's YouTube channel and blog for all her healthy recipes and can only expect the book to be just as good. 10. Ouai - the brand new hair collection by Jen Atkin who styles celebrities hairs including Chrissy Teigan, Jessica Alba and of course the Kardashians. After watching a few tutorials her products look insane and I'm dying to try the texturising spray. 10 of my favourite Christmas songs! Top 10 Christmas Films to Watch this year!